Paradise Island welcomes guests throughout the year! 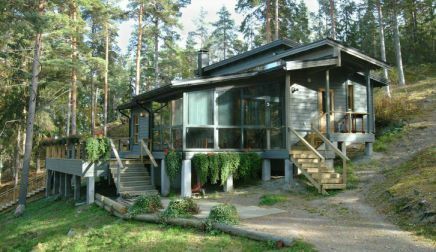 The Äijälän farmstead, located in the Naantali Archipelago on the island of Rymättylä, provides an excellent setting for meetings, training, banqueting and customer events in the serene, natural surroundings. 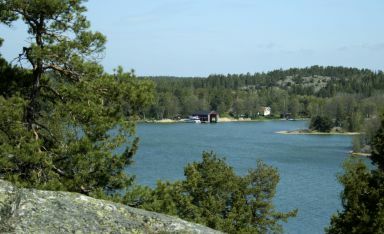 Located just half an hour by car and an hour by boat from Turku. Use as your base either the villa on Paradise Island with the smoke saunas and hot tubs, or Pikku Paradise Island with its log cabins and beach saunas. 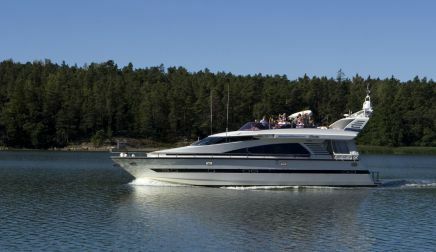 We collect guests by boat from either Turku, Naantali, or Äijälä beach. The voyages are in either the 40-person capacity luxury yacht M/Y Harmony, or the 19-person capacity. M/S Juhan. We also arrange canoe and nature safaris, charter boat trips and many other acivities, from fishing to viking long-boats. We accept credit cards as payment!